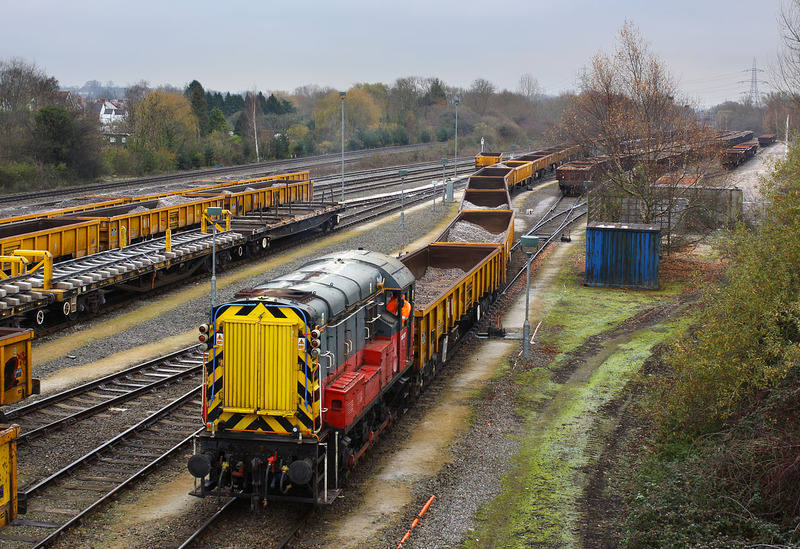 After moving a rake of sand wagons on 29 November 2010, 08757 sets about re-marshalling a lengthy spoil train in Hinksey Yard. A single wagon has just been removed and can be seen in the background. The loco propels the rest of the rake back into the siding, to allow it to remove the other wagon. Note the extra lights on the front of the loco, a reminder of its former Res duties.